We pair all of our fish with reusable gel ice packs, to ensure that the fish you bring home maintains the same constant temperature it was packaged in. These gel packs have many secondary uses, or they can be returned to our store, where we will exchange it for a new one with your purchase. We handle all of our fish in a controlled cold temperature, so it is important to keep the time your fish spends between OSAKANA and your refrigerator, as brief as possible. The fish market should always be your last stop, before going home. We wrap our fillets and whole fish in moisture resistant paper, paired with a gel ice pack. When you get home, place the ice pack in your freezer, for future re-use, and your fish in the refrigerator, as soon as possible. Make sure you keep your fish in the center of your refrigerator, to prevent the formation of ice crystals. Do not put anything heavy on top of it, and remove only when you are ready to prepare dinner. If you plan on holding your fish in the refrigerator for more than one day, we recommend that you wrap your packaged fish in clear plastic wrap. Fresh fish should be used within three days and always handled with clean hands on well sanitized surfaces. Frozen fish can be kept for up to six months in your home freezer. Keep your fish in the packaging, and wrap it very well with clear plastic wrap. Transfer fish to a freezer safe plastic bag or any freezer safe, air tight container that your fish can easily lay flat in. If you plan on freezing the fish you bring home, remember that once thawed, fish can not be frozen again. To thaw, allow your fish to refresh in the refrigerator for 24 hours. Most people are not at imminent risk of mercury poisoning from eating fish. Certain populations might be at a higher overall health risk, however, and may want to avoid as much potential risk as possible. Fish are unable to filter mercury they intake out of their bodies, so it builds up over time. Larger fish with longer lives spent eating smaller fish are the highest risk-factors. 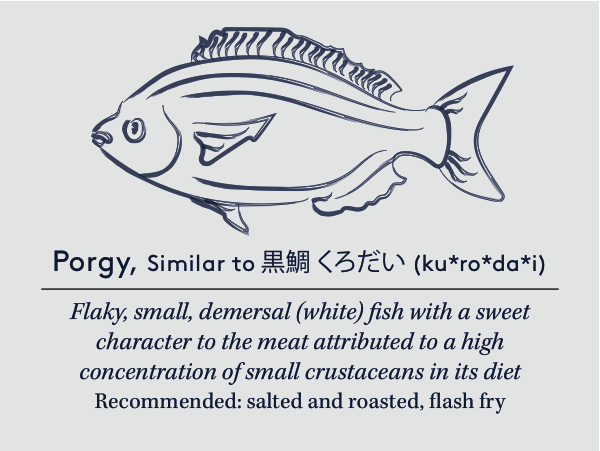 For this reason, the EPA lists these 4 types of fish as high in mercury compared to other fish: Tilefish, Shark, King Mackerel, and swordfish. Pregnant and/or Nursing guests as well as small children and the elderly should be notified of this list if they inquire about mercury levels.